My kids love juices. I've always let them have juice -- good juice, like Juicy Juice. Of course I watered it down for YEARS when they were little. But still, Juicy Juice has always been one of our go-to juices. Judge me all you want. Tell me I should have only given them water.... What's done is done. Can't go back. There's a new juice box on the block! 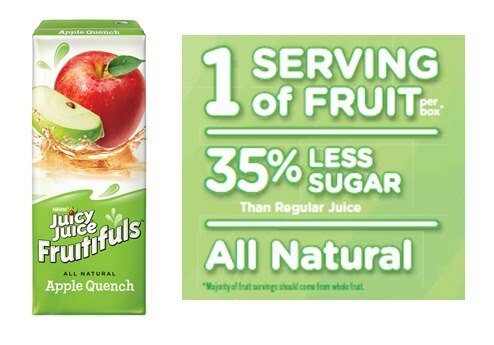 It has less sugar than other juice boxes and provides one full serving of fruit. 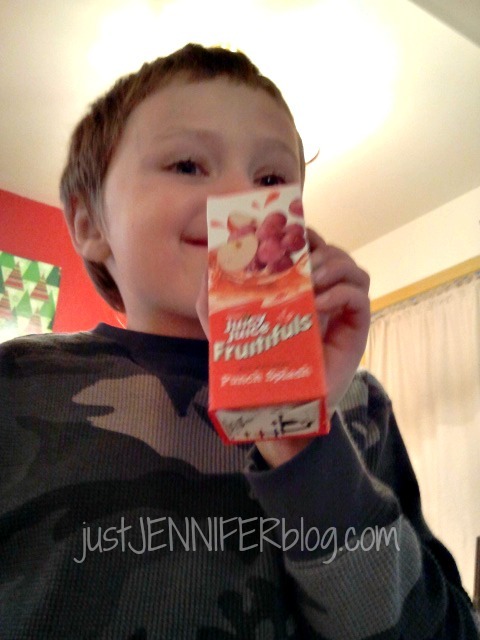 You know, juice boxes can be very handy when you have young kids. But I've always been frustrated with most of the options out there because I feel like they're merely sugar water. So I am glad that there is a better option out there now. Would you like to try Juicy Juice Fruitifuls for FREE? 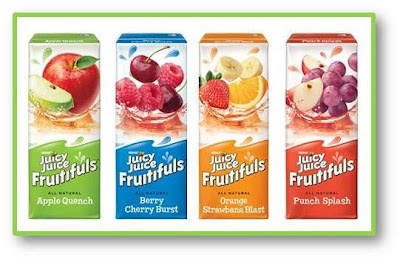 I have FIVE coupons for FREE Juicy Juice products to give to one of my readers! I was sent Juicy Juice Fruitifuls products for my children to try. All opinions are mine and my kids'. Images via Facebook. intelligently about. I'm very happy I found this in my search for something concerning this.